When coming up with baby card thank you's I had a few that didn't quite work out, but I ended up changing the onesie to butterflies and the end result is just perfect. Love this butterfly card. 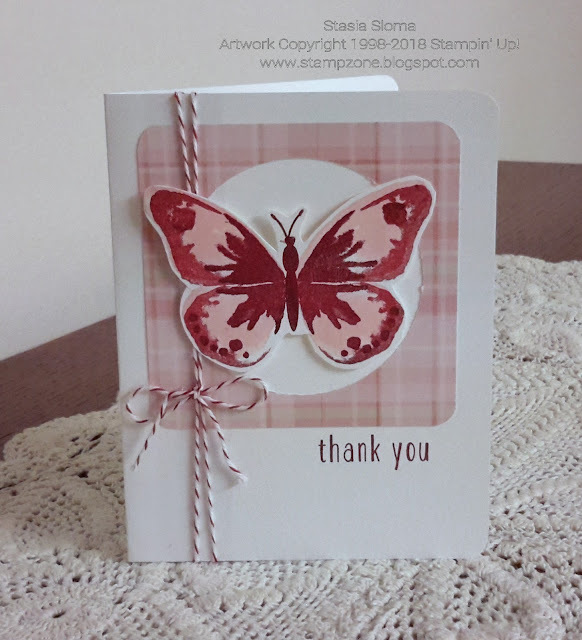 The butterfly from the Wonderful Wings was stamped in Powder Pink and then I used Cherry Cobbler. I stamped off to give another shade of Cherry Cobbler. The Baby Bear stamp set provided the sentiment. The designer paper is from American Crafts Felix. Baker's Twine completes the card.